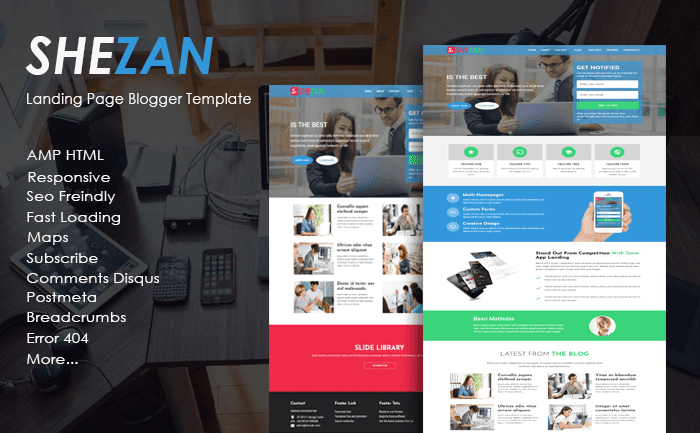 Shezan is the first AMP HTML Landing Page in goomsite, which has a very modern look and adopts the look of material design. This theme is suitable for blogs with topics or other business topics. The theme also has a highly responsive design so the layout looks good in screen size, thereby impacting the accessibility of great content. Not only that this theme has a very fast loading and the exact right to have a fairly high seo value.